Great battles tend to be remembered. Recollections become tales which become legends. Over time, acts of heroism are embellished, body counts are magnified, and conflicts take on an epic proportion. The Battle of the Whispering Wood is such an event. With his father being held in chains in King’s Landing, the young Robb Stark with his Northern allies launched a sneak attack on the forces of House Lannister, capturing none other than the Kingslayer himself, Jaime Lannister. 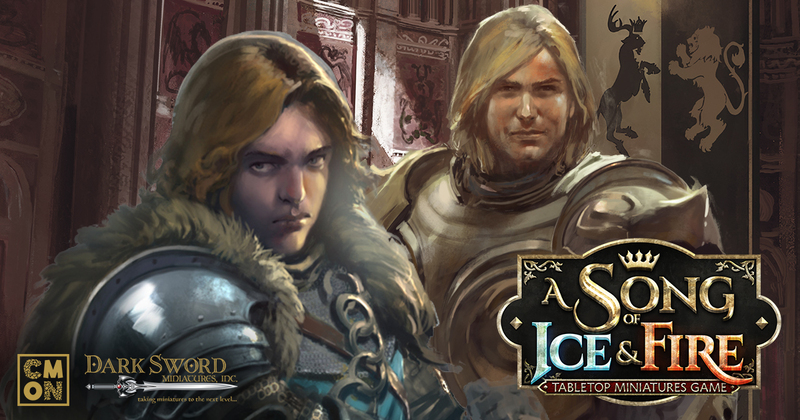 CMON is excited to introduce its first custom scenario for the A Song of Ice and Fire: Tabletop Miniatures Game. Taken right from the pages of the award-winning George R.R. Martin novels, The Battle of the Whispering Wood allows you to step into the command of either House Stark or Lannister and fight this famous battle yourselves. Will the end results remain the same as the book? Will your battle have a different outcome? The power to decide is in your hands. Check out The Battle of the Whispering Wood scenario below and download it here. Stay tuned for more custom scenarios coming soon.